Let us solve all the hard problems before you even start your build! 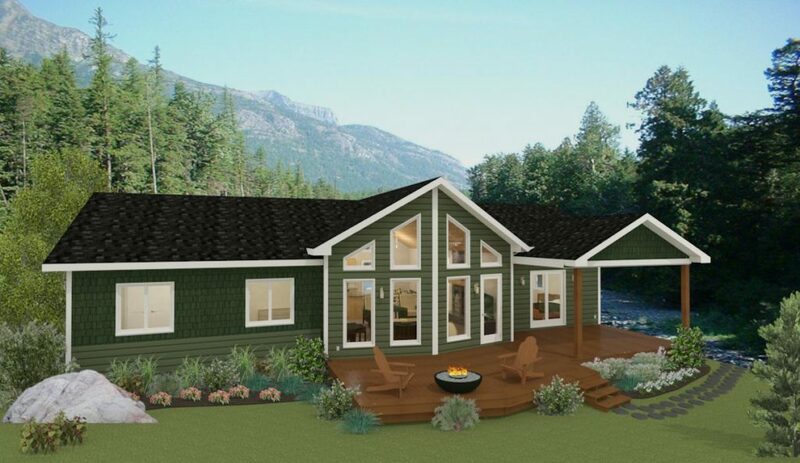 Many people would love to take on the challenge of building their own dream cottage. Unfortunately, there are some pretty intimidating challenges down that road and those require time and expertise to overcome. Here are a list of some of the challenges and how we can help. Many people continue to save for that magical day in the future when they can afford their dream cabin. Only to realize that the money they are saving is barely keeping up to the cost of inflation for building materials. By taking advantage of building the shell now, you can get current pricing on a good portion of your build and actually start enjoying being at the cottage. There are many ways to make a cottage at the shell stage very livable so that you can start making memories today. Click here to read about ways to make your shell project livable and ready to enjoy. Having blueprints drawn up that will fit your budget and your dreams. At Pine Creek we’re experts at taking your dreams and turning it into a blueprint that fits your style and budget. We can provide pricing throughout the drawing process to make sure that your plan will fit your budget. Unlike many architects, who only give an idea or suggestion as to what a given blueprint will cost to build. We are forced to put our money where our mouth is, so to speak. Because we are the ones who have to come through on the back-end and stick to that budget while building. Dealing with the permitting process can be challenging, if it’s not something you do regularly. There are always hoops the permitting office wants you to jump through and it can be really discouraging. Not to mention time consuming. Since we are regularly dealing with different municipal offices we know what to expect. Plus we know exactly what each office will require as each permit office is different. This is also an important part of the blueprint drawing process as different municipalities have different rules with regards to what can be built on certain lots. You would hate to design your dream cottage just to find out you can’t build it on your lot. The foundation and framing portion of the build requires the most time and expertise. Especially in cottage country, where foundations can range from sitting on a marsh to even granite rock. At Pine Creek Homes we are experts at these types of foundations, and have been doing it for two generations. By letting us get the foundation and framing done for you, you can sleep well knowing it’s all done the right way and in a timely manner. Even for the most keen do-it-yourselfer, taking on the foundation and framing of a custom cottage is probably outside the realm of expertise and time commitment for most people. Take this as an example. An average cottage might take a crew of four experienced carpenters two weeks to frame. That’s 80 hours times 4 people for 320 man-hours. If you can convince a friend to help you that would equal 20 days of framing for two people assuming you’re just as fast as a professional and have no hang-ups due to weather, or material ordering setbacks. That’s pretty much every weekend of the summer and that’s if all goes perfectly. Kids grow up so fast these days, and too often we missed the opportunity to make memories while we’re busy making plans. One of the goals behind offering the shell option was to get families out into cottage country sooner so the memories can start being made. Most kids will never remember whether the floor of the cabin had tile with in floor heat or varnish plywood when they started going to it. However, they will remember fishing off the dock and playing in the sand. Sometimes it’s easy to get caught up in the details of making the perfect dream cottage and forget the real reason we want to do it. For most of us, the answer is, to make memories with friends and family. It’s worth evaluating whether that first year should be spent actually starting to make those memories, or starting to work on the cabin foundation. Once the shell is complete it offers a place to stay and start enjoying cabin life. The latter part of the building process is less time and sensitive and I can be balanced with making memories at the same time. Where do I stay while I’m working? This is another common problem most people don’t think about in the foundation and framing process. Often during the foundation, piles of backfill take up the site and during framing. Lumber and material occupy a lot of the ground space around the site as well. So even setting up a tent trailer can be difficult on some sites. Once the shells complete you have a place to stay as well as a safe place to store materials.